When you think about it, the lowly stool is one of the most versatile pieces of furniture in your home. It serves as everything from a chair, to a foot rest, to a table, to a place to eat and work. And Joe Levy, an industrial design student from New Zealand, has managed to cram in even more functionality with his SpoolStool. 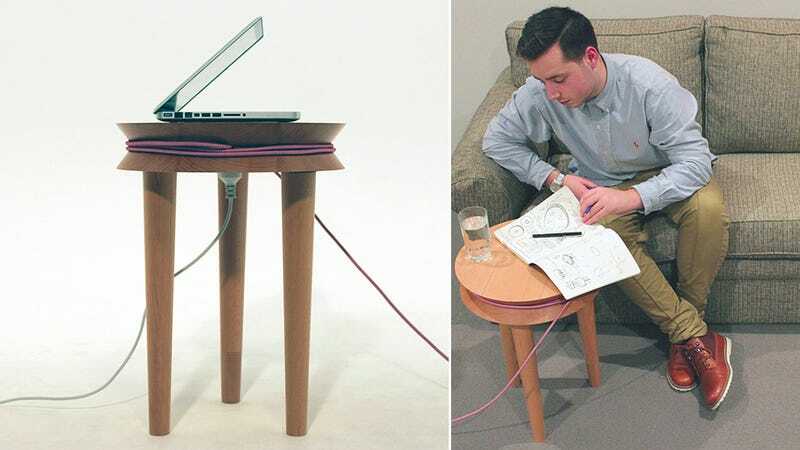 The stool's most useful addition is a power outlets on the underside letting you plug in a laptop or other electronics when using it as a couch-side work desk. And the not-so-subtle groove running around the SpoolStool's circumference lets you wrap and keep your cables tidy.